Mid Winter Break Is Next Week! …and we’re open! Sign up for one, or multiple, super-fun days of robot crafting. Kids grades K-4 will build two robots each day, and in the process learn about mechanical engineering and electricity by using parts such as gears, motors, LED lights and magnets! The day runs from 9:00am – 3:00pm. There is no extended day option available. Please send your child with a snack and lunch that contain no nuts. Weather permitting, we will take the kids to a nearby park to play during the lunch break. 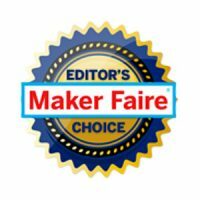 Monday, Feb 20 – Pulsar & Plow: a spinning, light-up robot and a steering vehicle! Tuesday, Feb 21 –Ice Skater & Speed Racer: a magical, magnetic robot and a fun, fast car! 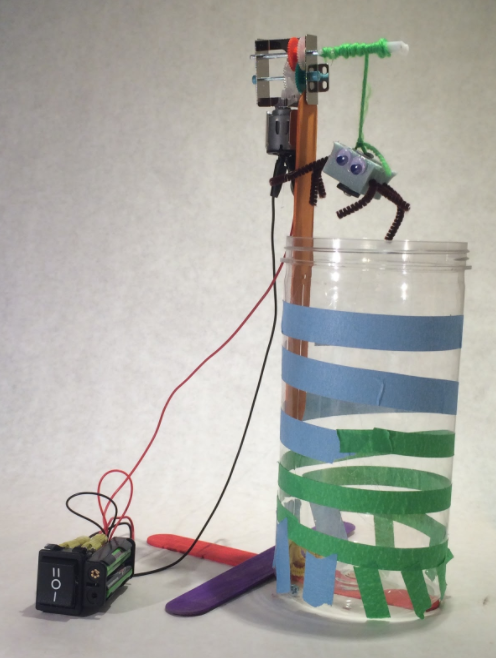 Thursday, Feb 23 – Brooklyn Bug & Eiffel Tower: a creepy crawly robot and a light-up structure! Friday, Feb 24 – Laser Bot & Cable Car: the Laser Bot can make a light show, and the Cable Car can “fly” across the room on a string!